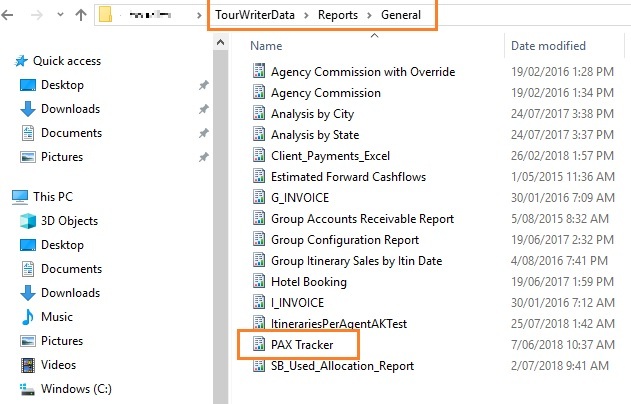 The new Pax Tracker report allows you to see a detailed summary of where your clients are at any given time. It displays the Itinerary Name, number of pax, and the Agent booked, as well as the Date, Time, Service Type, Supplier, City and Service booked. 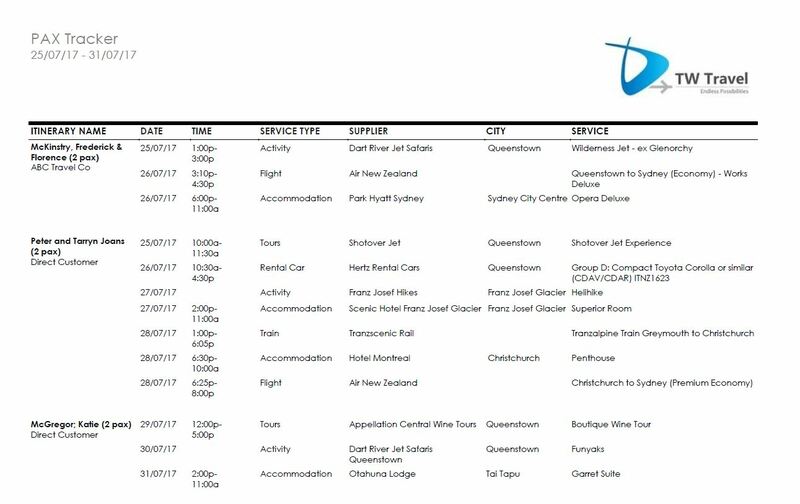 The report further presents additional filtering options such as filter by Date, Service Type, Agent, Itinerary status, Booking status, Branch, Department and Country. You can download the report file from the link below. 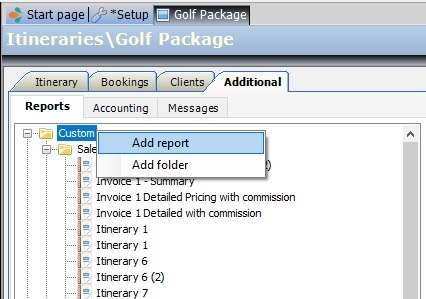 Any Custom Reports can be renamed by right clicking the report name, once you have added it to Tourwriter.